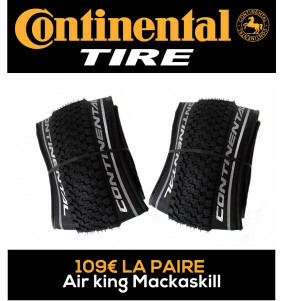 Le nouveau pneu continental est enfin disponible ! 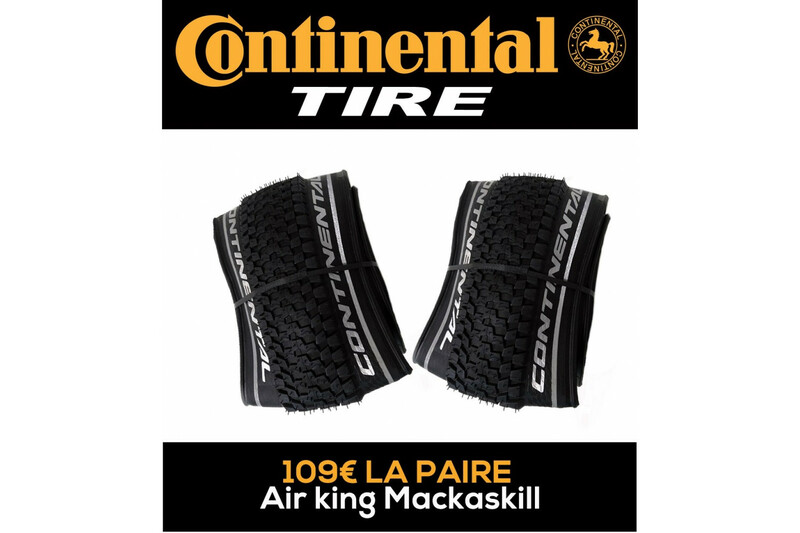 Conçus en collaboration avec Danny Macaskill, et le pneu Continental Air king Macaskill se place comme la référence en Street trialet beneficie d'une meilleur tenue des tringles. 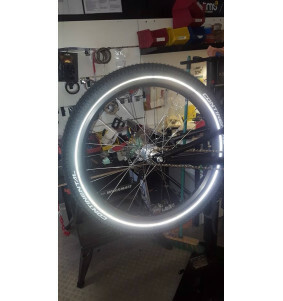 Danny MacAskill signature tyre developed by Continental and fitted to the Inspired Skye Team bikes. Interconnected tread pattern helps keep rolling resistance low whilst the unique angled block design and spacing give maximum grip when needed. Constructed from Continental's Black Chili compound with thicker sidewalls to help reduce the chance of punctures. Folding Kevlar bead helps to minimize weight. Available in 24" x 2.4" size only.